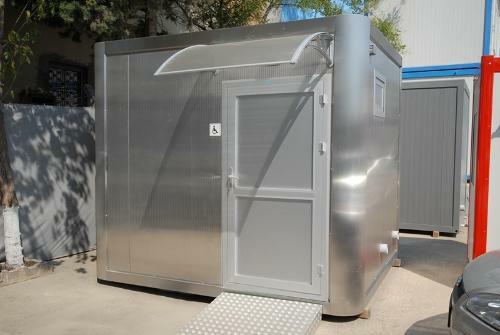 Dormitory Container - OZGE YAPI PREFABRICATED COORP. A GOOD SLEEP İS NECESSARY! Container dormitory buildings are used for meeting the need of sleep of the individual in construction sites, scout camps and guest houses. Our standard or special size containers can be used singly or interlocked in container structures to be used as a dormitory and in projects set up as regards to the number of people. The dormitory structures used in sites are separated as worker and engineer dormitories. We have standard plans for these projects arising from a variety of needs. New plan alternatives are also designed in accordance with the requirements by our cadre of architects and engineers. We have one, two and in large projects three storey types. Fire is the most feared accident in dormitory buildings. Therefore, fiber cement which is an A-1 class incombustible material is preferred. Wet volumes should be designed as per multiple and intensive use and material selection should be executed accordingly. Roof reinforcement can also be performed as regards to climate conditions of the place where the containers will be assembled, if necessary. It can be disassembled and re-assembled time and again.